Mechanicville, NY – February 4, 2019 – DeCrescente Distributing Company (DDC) and Shmaltz Brewing Company are excited to announce that DDC has become the exclusive distributor of Shmaltz’s award-winning core beers as well as their coveted special releases throughout the Capital Region. Starting immediately, DDC will distribute all draft and package versions of Shmaltz’s core beers, including their flagship Hop Manna IPA, a heavily dry hopped and unfiltered American IPA; Messiah Brown Ale, a complex yet smooth American Brown Ale; Slingshot Lager, a dry hopped American craft lager; Hop Momma IPA, a hazy and juicy New England-style IPA brewed with peach, apricot and a hint of habanero; and 518 Craft Foggy Goggles, a New England-style hazy session IPA. 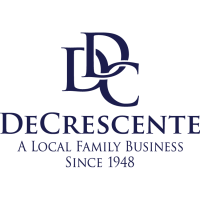 DeCrescente Distributing Company (DDC) is a fourth-generation beverage distributor, family owned and operated since 1948, taking great pride in its employees, customer service and community involvement. Most notably, DDC was awarded Best Places to Work in the Capital Region for nine consecutive years and employs more than 400 people. Some of the company’s brands include MillerCoors, Boston Beer Co., New Belgium, Heineken, Pabst, Corona, Sierra Nevada, Matt Brewing Company, Yuengling, Guinness, FIFCO USA, Mike’s Hard, Snapple, Saratoga Water and Polar Beverages. DDC also distributes a unique variety of local craft beers as well as wine and spirits, including Brooklyn Brewery, Artisanal Brew Works, Adirondack Brewery, Brown’s Brewing Co., Druthers, Ithaca Beer Co., Brewery Ommegang, R.S. Taylor & Sons Brewery, Mad Jack Brewing, Davidson Brothers, Saratoga Winery, Saratoga Courage Distillery, Springbrook Farm Distillery, Heron Hill Winery and Galway Rock Winery. For more information on DeCrescente Distributing Company, please visit our website www.ddcbev.com.